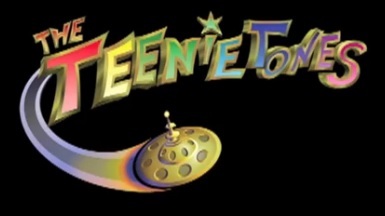 Teenie Tones is a 30-minute television pilot based on the popular interactive website and live tours of The Teenie Tones. The pilot, and series currently in development, offers programming for pre-school age children, designed to inspire and teach them the importance of appreciating all types of music, while incorporating the aspects of harmony into all areas of their lives. The Teenie Tones are eight young, intergalactic pop-star characters from a musical planet called Muzar, where music is the source of energy and a healthy lifestyle (and environment) are vital to their existence. The young singers, dancers, and musicians are characters named after the musical scale: DO-zar, RE-mo, MI-ka, FA-sha, SOL-ar, LA-le, TI-ko, DO-kar. Also among them is the Teenie Tone wanna be, Lil’ Star. 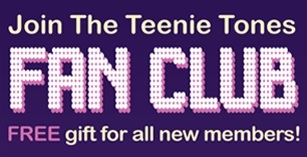 The Teenie Tones original upbeat and interactive music, styles of instrumentation, and wide variety of teaching tools, have been created to interactively engage children to have fun in the learning process. The richness of music, fantasy-adventures, storylines and healthy life styles of The Teenie Tones and their friends, fuel children’s imaginations and dreams and possibilities. The Teenie Tones is created by Executive Producer Barbara Valentine.